I can’t believe that YALC is this month *squeals*! At first I wasn’t sure if I was going to be able to make it, but after shifting a few things around, I bought my tickets and started counting down the days. If you don’t know what YALC is, it’s the Young Adult Literature Convention which has lots of awesome authors attending, alongside publishers and other bookish guests, which is happening alongside the London Film & Comic Con this year. While I am super excited to head to my first ever YALC with Bec of Two Book Thieves, Lauren and Beth, I’m also a little nervous. I mean, how am I going to able to read all the books before then! I thought I’d put together a little authors I want to meet/TBR to try to help soothe my nerves. 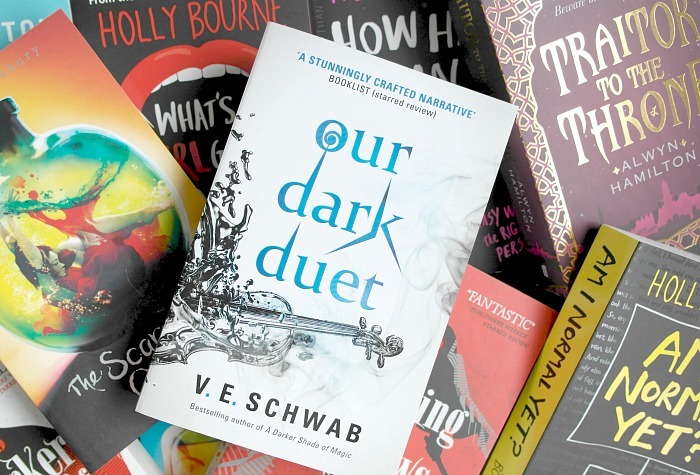 There are lots of authors attending YALC this year (and I’m keeping my fingers crossed that a few more may be added *cough* SJM I’M LOOKING AT YOU *cough*), but I’ve selected just a few whose books I already own so should probably read pretty soon. The Sin Eater’s Daughter trilogy by Melinda Salisbury: Ok so I’ve had this series on my bookshelves for a while now, and having heard so many good things I’m really excited to read them! Rebel of the Sands duology by Alwyn Hamilton: I read Rebel of the Sands earlier this year and loved it (in fact, you can read about how much I loved it right here). But, alas, I did what I always do: loves book – pre orders sequel – sequel arrives – doesn’t read sequel. However I have plans to rectify this as soon as possible and I can’t wait. The Spinster Club Series by Holly Bourne: After seeing just how much people loved Holly’s books, I ordered Am I Normal Yet? and finished it in a matter of days. I thought it was awesome. For me, Evie was totally relatable and the whole story had me gripped from beginning to end, so of course I ordered How Hard Can Love Be? and What’s a Girl Gotta Do? straight away. But… I did it again. I still haven’t read them! I definitely need to change this. One of Us is Lying by Karen M. McManus: So I’ve already read this book (and reviewed it here) but thought I’d add it to my list as I think it’d be cool to meet Karen and get something signed! The Last Piece of My Heart by Paige Toon: I’ve been a fan of Paige’s books for the longest time, I’m fairly sure I’ve read them all, so when her latest book came out of course I had to buy it. I read it in just over a day whilst on holiday, on the beach, and it was awesome. This Savage Song duology by V.E. Schwab: Please don’t hate me for not having read these yet, I promise I will! I recently read the first two books in the Shades of Magic series and really enjoyed them, so I’ve got high hopes for This Savage Song. It’s the next book on my TBR! I’m sure there are many, many more that need to be on this list but my TBR is long enough already and I’m already panicking about how I’m going to get everything read in the next three weeks! I can’t wait to discover more new authors too while I’m there. I’m so excited to attend my first YALC and would love to meet lots more book bloggers. If you have any tips for YALC let me know.